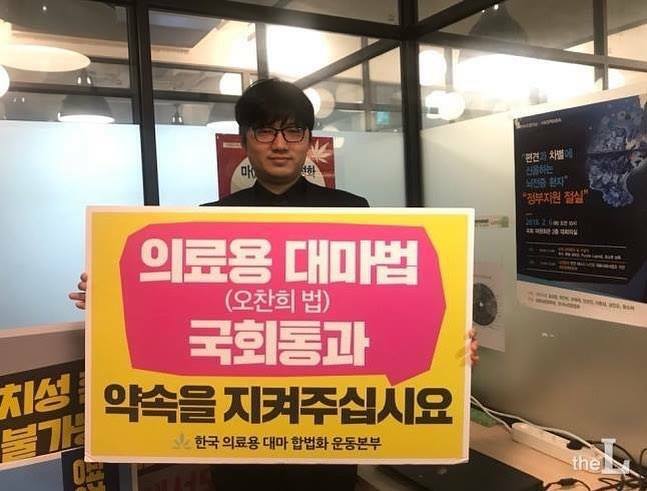 My name is pastor Sung-seok Kang, who is representative of Korea Medical Cannabis Organization. Since my seminary, I have begun ministry for immigrants who are discriminated against in Korean society. I have been doing ministry at the migrant center in Gyeongnam Changwon. While helping to move the donated rice, I went through an emergency operation due a rupture of my discs. I had to use auxiliary device for three months and spent a year in a recuperation. When I was unable to feel the sense of the right two toes because my nerves were damaged, I saw the news about medical cannabis legalization debating between Canada and America. After I have realized the lack information about the use of medical cannabis in Korea, I start work for myself and for the people who need help with this.